Poland’s dominant natural gas producer and distributor PGNiG said late Tuesday it signed agreements with two US companies, Port Arthur LNG and Venture Global LNG, for long-term deliveries of liquefied natural gas as the company pursues its strategy of reducing its dependence on Russian pipeline gas supplies. Under the agreements, PGNiG will negotiate the provision of binding 20-year contracts for the purchase of 2 million mt/year of LNG, equivalent to 2.7 Bcm of gas, with each company, PGNiG said. The agreements do not oblige PGNiG to sign final LNG purchase contracts, the company said. Under the deals PGNiG will be able to resell the deliveries that will be supplied on a free-on-board basis, meaning PGNiG is responsible for the transport of the cargoes. PGNiG’s CEO Piotr Wozniak said the deals allow PGNiG to reduce its dependence on Russian pipeline gas, once the long-term ‘Yamal’ contract with Gazprom expires in 2022, as well as increasing the company’s potential to trade LNG on the global market. “This is a very important step for PGNiG in the development of activity in the LNG market. Firstly, we want to diversify the structure of LNG imports to Poland, especially following the expiration of the Yamal contract in 2022,” he said in a statement. “Secondly we receive fuel from the US with a view to expanding our trading portfolio. The volumes our American partners will be able to offer us allow PGNiG to expand activity on the global LNG trading market,” he added. If PGNiG goes on to sign final purchase deals with the two US companies, deliveries will start in 2022-23 following the completion of LNG terminals being developed by the American companies in the Gulf of Mexico. Port Arthur LNG is a subsidiary of Sempra LNG & Midstream, owned by the San Diego-based Sempra Energy., that is developing the 11 million mt/year Port Arthur LNG liquefaction facility, which is expected to be completed in 2023. Bechtel was selected last week as the engineering, procurement, construction and commissioning contractor for the facility. Venture Global LNG is developing the 10 million mt/year Calcasieu Pass facility, Louisiana, and the 20 million mt/year Plaquemines LNG facility in Plaquemines Parish, Louisiana. Calcasieu Pass is expected to be completed in 2022 and Plaquemines is expected to be ready in 2023. 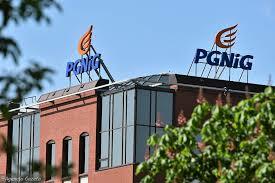 PGNiG buys up to 10.2 Bcm/year of gas under its take-or-pay contract with Gazprom. Poland consumes between 16-17 Bcm of gas annually. Both the government and state-controlled PGNiG have been pursuing a policy of diversifying gas supplies. In the first quarter of this year Gazprom supplied 78% of PGNiG’s gas imports, down from 84% a year earlier. Government and PGNiG officials have said they have no intention of extending the Gazprom contract beyond 2022, although they do not rule out further purchases of Russian gas. In mid-2016 the country opened a 5 Bcm/year LNG terminal in Swinoujscie. PGNiG receives gas through the terminal under a 20-year supply contract with Qatargas as well as spot deliveries. Last November, PGNiG signed a five-year contract with Centrica for LNG deliveries from Sabine Pass in the US. Poland plans to expand Swinoujscie’s capacity to 7.5 Bcm/year by 2022. Increasing LNG imports is one route Poland is taking to diversify its gas supplies, the other is the 10 Bcm/year Baltic Pipe project, that would connect the Polish, Danish and Norwegian gas networks and allow Poland to import Norwegian gas directly via pipeline by October 2022. An investment decision is expected by the end of this year.